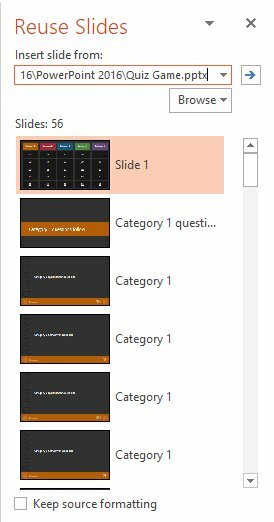 Microsoft PowerPoint allows you to reuse slides from an existing presentation and insert them into a new presentation without the need to open the old presentation. 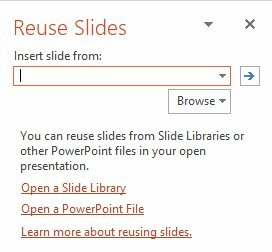 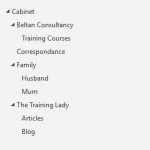 The Reuse slide option also allows you to keep the original formatting or apply the formatting used in your new presentation. 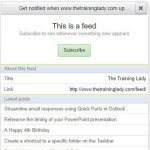 I use this technique quite often when I’m preparing a presentation for training sessions. 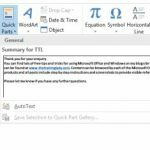 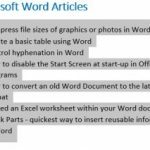 This method provides a quick and efficient way of reusing slide content within multiple slides and allowing you to reduce the need to reformat slide information.